NBA Talk #16: Bradley Beal to the Toronto Raptors? What's up basketball fans! I am here again @dwin0603 to give you another basketball discussion for today's episode of NBA talk. And today, we will talk about some trade rumors about Washington Wizard's all-star guard Bradley Beal. Let's do this! Teams in the NBA today collects as much all-star as they can get to compete for a championship. The team with the most all-stars in their roster has much higher chance in making to to the finals or even make it to the playoffs. This is now the trend in the NBA and almost all of the teams are trying to acquire multiple all-stars to win. The Washington Wizards are one of the worst teams now in the league with a record of 17-25 despite having two all-stars in their team. They failed to take advantage of it and now their best player John Wall is out for the season because of a severe injury. Washington is obviously not making it to the playoffs now that John Wall is out and I think that this is the best time for them to push the reset bottom or in other words, start the rebuilding process. It's hard, but I think it's best for them to do that. After several years of coming up short in the playoffs, the Wizards weren't able to find true success with Wall and Beal. Now, I think they should just give up and just accept the fact that they should just start all over again. To start rebuilding, the Wizards should trade Bradley Beal. He is the most valuable asset for them and he is the most realistic tradable player in their roster. John Wall is aging and his contract is too big for other teams to trade. nobody will be interested in John Wall because of his massive contract. Beal is still playing at an all-star level and he is not slowing down. Many teams will surely want to acquire him and according to reports, Washington's asking price is too much. From what I read, the Wizards wants 2 young players or 1 young player and 1 veteran plus 2 future first round picks. That is what they want in exchange for Beal and maybe some teams would want to take the risk and grab the opportunity to acquire Beal. The Toronto Raptors are rumored to be the front-runners in acquiring Bradley Beal. According to Sean Deveney of Sporting News, the Raptors are very interested in acquiring the all-star guard. But for them to be able to get him, they should include Pascal Siakam and OG Anunoby plus two first rounders. That was too much because Pascal Siakam is a rising star. He's been spectacular this season and I think he's getting better night after night. His talent is getting exposed and the Raptors might regret this trade in the future. It's hard to predict how things will go through if the Raptors push this trade. I'm sure Beal can fit right in with Kawhi Leonard and Kyle Lowry but how much of an effect will they suffer if they let go of Pascal Siakam? However, having Beal in their roster will make their offense more dangerous and will make them a championship contender but they will lost another young talent that has the potential to be a star. What do you think folks? 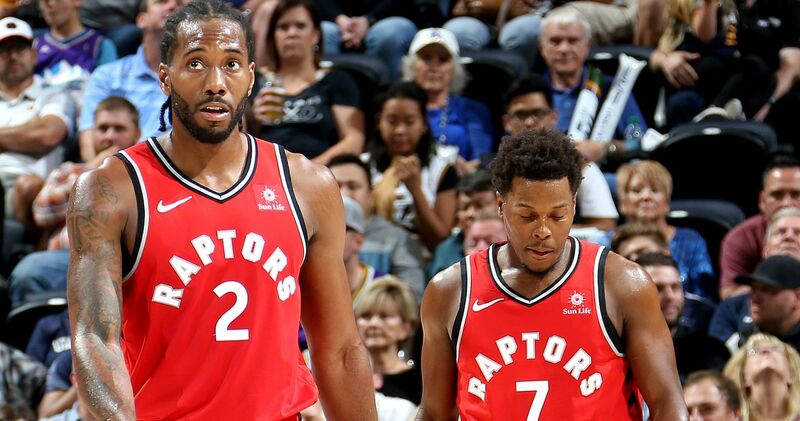 Do the Raptors need this trade? Let me have your opinions and let's have some basketball talk! :) I'll leave you with some Bradley Beal highlights.